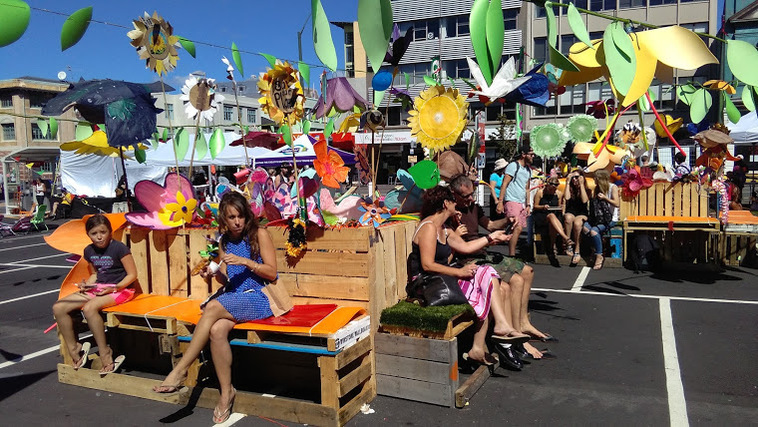 Involved since 2016, and keeping true to our d-i-y home grown, low impact and reuse kaupapa, our Urban Garden is growing with the years. 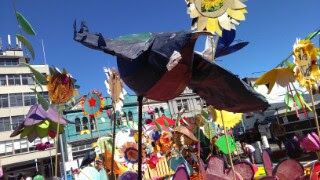 the D-I-Y Parade whilst we made Junk Instruments and Carnval Costumes. 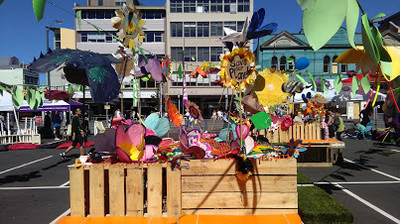 Capital E made cardboard costumes and had Bloom out as well. 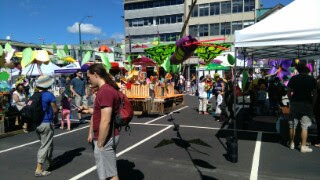 and the Curbside Stage kept the tunes rolling. The Urban Garden becomes an Oasis in the city. 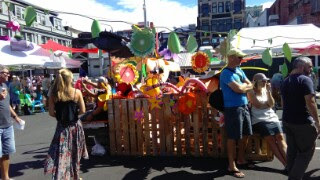 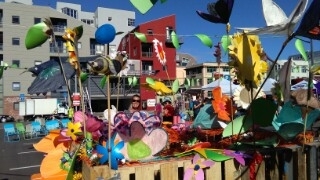 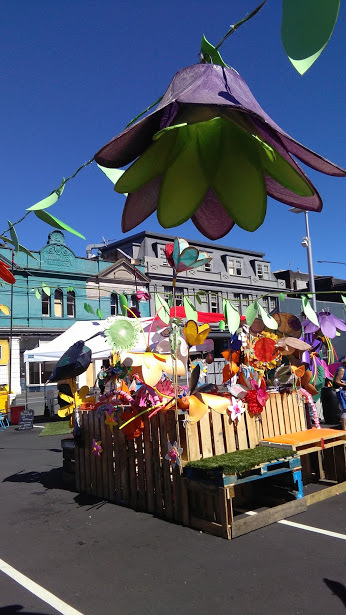 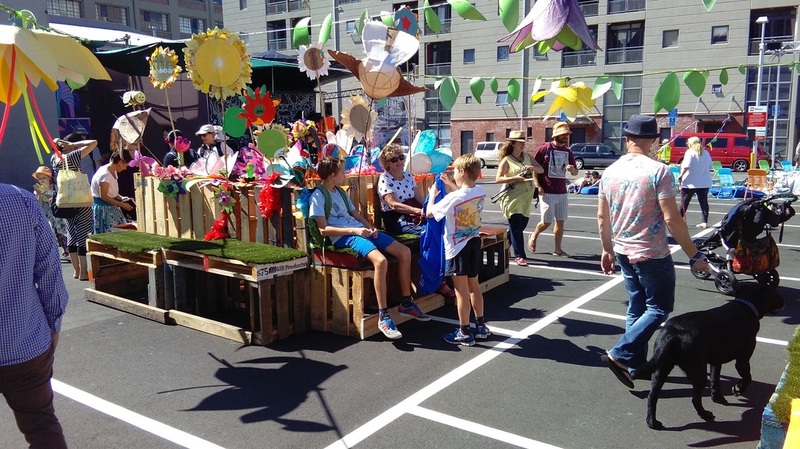 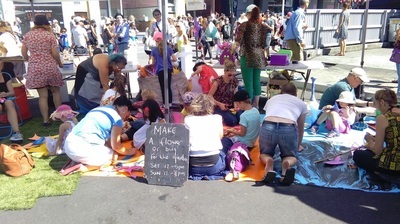 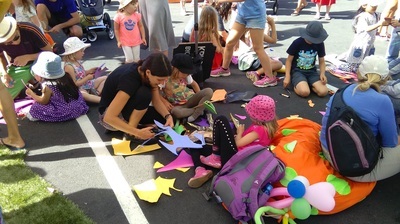 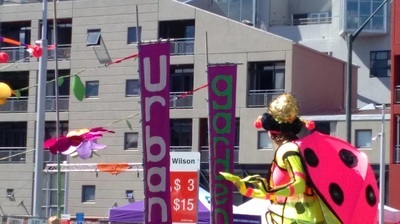 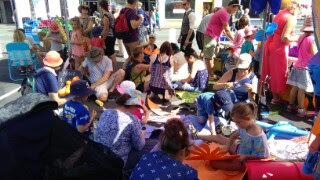 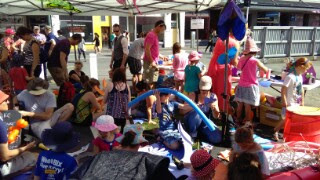 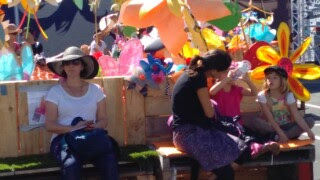 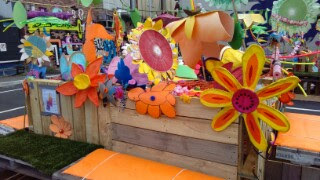 Workshops were held during the week with members of the public and Clifton Terrace School at Thistle Hall, Cuba Street, and during Cuba Dupa Festival to help in the creation of anything and everything you could find in an Urban Garden, from grown and reuse recycle items. 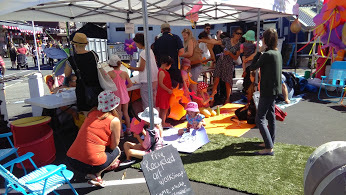 REACT installed everything overnight on Friday 19th March.